The Texas General Land Office has dropped its lawsuit against the city’s obliterated ban on hydraulic fracturing and moratorium on new gas drilling, officially resolving all litigation over the North Texas city's vote, which made international headlines. The city of Denton is now free of the state’s legal crosshairs. The Texas General Land Office has dropped its lawsuit against the North Texas city’s obliterated ban on hydraulic fracturing and moratorium on new gas drilling, officially resolving all litigation over the local vote, which made international headlines. The agency sued Denton in November 2014 — just hours after nearly 59 percent of city voters approved a ban on the revolutionary method of blasting apart rock to rock to stimulate oil and gas. Eventually, the lawsuit, part of a multi-pronged attack by state and industry leaders, expanded to include a challenge to the city’s now-expired moratorium on new gas well drilling. The Land Office, which manages millions of acres of state mineral interests, had called the ban “arbitrary, capricious and unreasonable” and said it threatened the state's royalty interests. It filed a motion to dismiss the lawsuit on Sept. 4. A Denton County judge, Bruce McFarling, signed the order dismissing the case a week later. The Texas Oil and Gas Association had filed a similar suit, which it dropped earlier this month, following a string of actions that killed Denton’s bans. 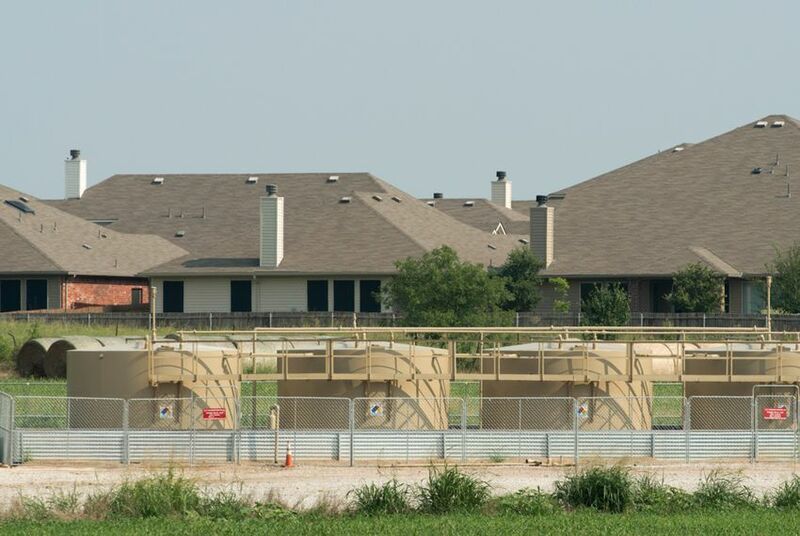 Fracking resumed in Denton in June, shortly before its City Council voted to scrub the ban from its books to address the now-ended legal woes. "All such claims in this matter are moot," McFarling wrote in his order this month.